Subscribe to comments with RSS or TrackBack to 'Nats Pitching depth to now be tested…'. Something to note: In 2016 & 2017, Strasburg went on the DL not long after throwing over 100 pitches 7 and then 8 consecutive games. When he returned last year, Dusty allowed him to go over 100 only twice in 8 games and he responded by going 7-1 with an ERA of 0.84. Even more pertinent, in 2014–Strasburg’s only fully healthy season, which was also his only 200+ inning season, Williams let him go over 100 pitches no more than 3 consecutive games. So what happened this year? 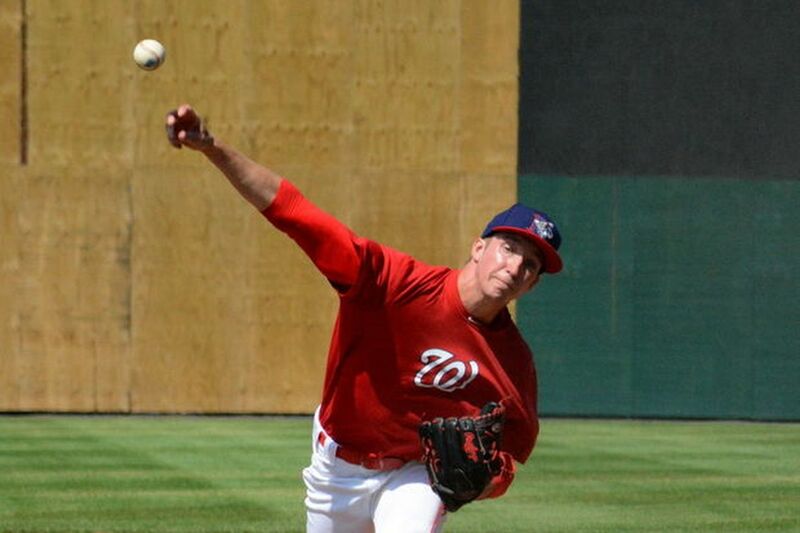 Strasburg threw over 100 pitches 8 consecutive games before Friday night. It’s amazing that meathead Williams is the one manager who seemed to recognize that Strasburg’s pitch counts need to be tightly controlled. Great observation karl. Lets just hope its nothing more than a sore shoulder and he gets some time off. Honestly … if he can take a month off his arm and the nats can still take the division … we’ll be better off for it in the playoffs. Fedde’s ERA and WHIP in AAA aren’t great, but his 2.72 FIP certainly is. He’s striking out 9.69/9 and walking 2.38/9. The ERA and WHIP numbers are completely driven by a .393 BABIP. It’s certainly possible Fedde is a guy who runs a higher-than-normal BABIP (his BABIP has jumped around a bit in the minors but tends to the high side), but .393 is much too high for him. I would absolutely be comfortable running Fedde out there every fifth day. If he starts on Wednesday in Yankee Stadium, however, people need to prepare themselves for thinking that a line of 5IP 3ER and a homer or two is a good line against that lineup in that ballpark. I think Fedde can get major league hitters out on a consistent basis. The questions I have about him relate to durability: how deep into games can he pitch and can his arm hold up over 150+ innings. He has the stuff/repertoire to succeed, and I think that is obvious when one looks at the more predictive minor league numbers. Kind of reminds me of his debut last year … first against Colorado … then at Wrigley. Not exactly two easy opponents to start off with. Well, at least they didn’t spend $57M on Alex Cobb! Voth was great in April, terrible in May, but has had a couple of good starts in June. Milone really hadn’t been good at all until his last couple of starts, looking more like a release candidate than an MLB one. Is it terrible to point out how much better J-Rod has been since his PED suspension? Probably so! Anyway, whether from the juice, the career wake-up call, or perhaps a bit of both, he’s shown some real improvement in ’17-’18. I’ve never been completely sold on him, but in an organization so short of starter “prospects” in the mid-to-upper minors, we need to hope he’s legit. Alas, I’m still not sure whether Fedde is . . . The conversation, beyond those three, should include John Simms, at least as a 60 pitch option to get through 5 innings. He’s a smart pitcher who can miss bats and works well with what he has. Just because he is not on a list, well, neither was Roark. JRod was promoted from AA after a good year that was hardly dominating. For that reason, McGowin can be considered in this thread. McGowin has remarkable numbers this year. At age 26.5, he’s not going to be in any “prospect” conversation, but he does seem to have figured something out.